New song “A Million Ways” out today! New song “A Million Ways” out today. 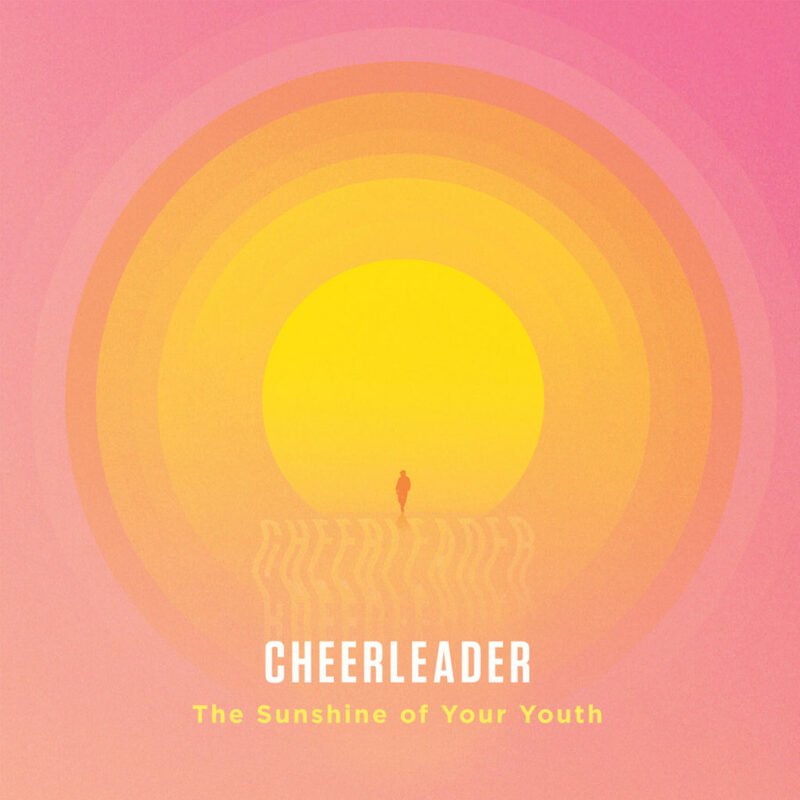 ‘The Sunshine Of Your Youth’ will come out on May 19th! 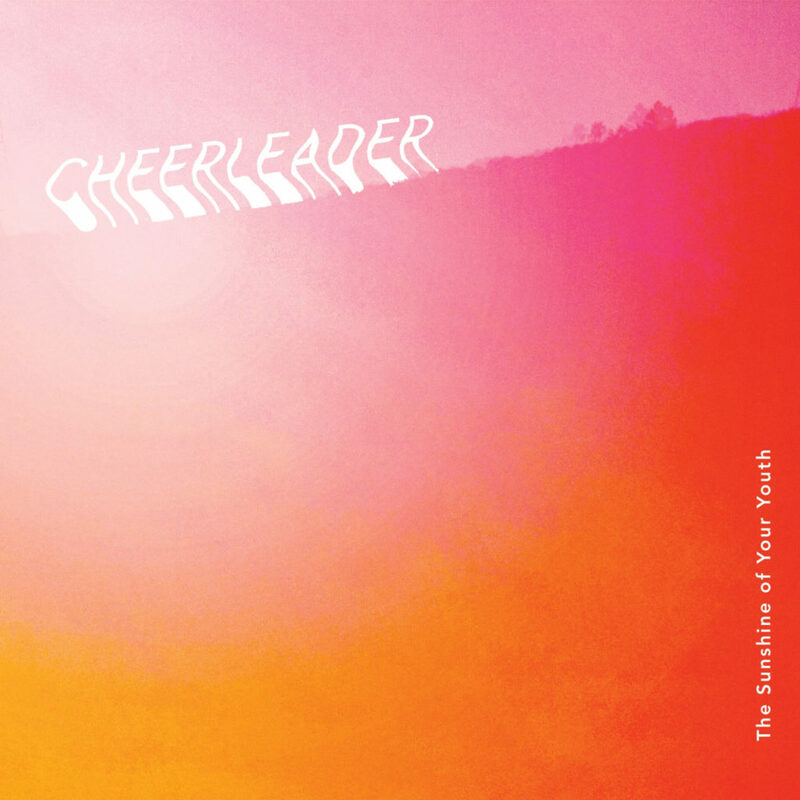 So excited to announce our full length LP ‘The Sunshine Of Your Youth’ will come out on May 19th via Bright Antenna Records. ‘The Sunshine Of Your Youth’ official video is out now! We’re going on tour with The Wombats! 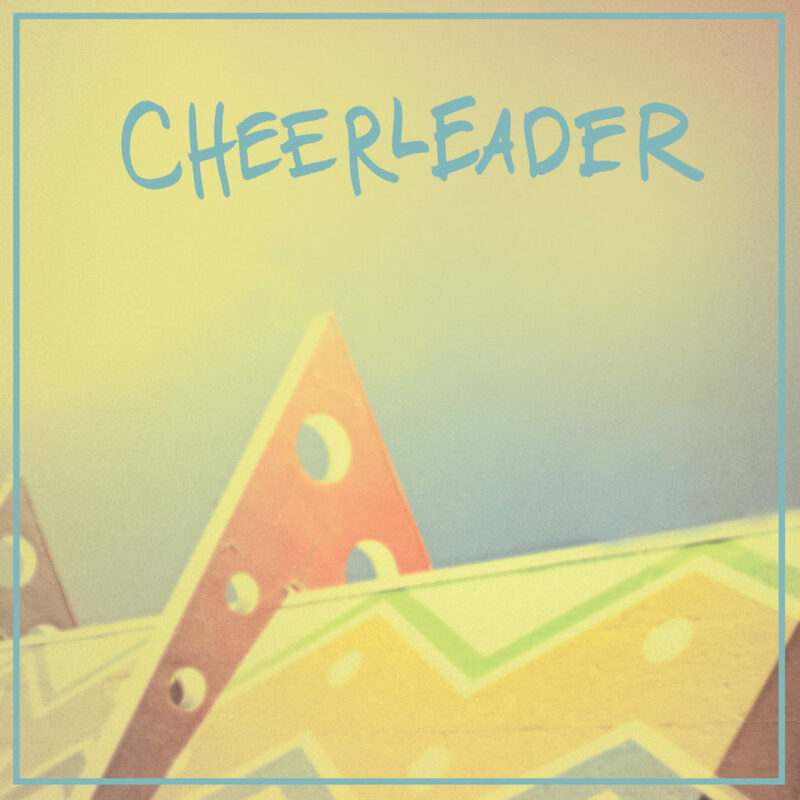 Before we turn the page to 2015, we wanted to take just a moment to thank you all for the best year of Cheerleader yet. This was the most insane, jam-packed 12 months we’ve ever had, and it’s all thanks to the tremendous support we’ve had from all our families, friends, and fans. We kicked off the year with a recording trip to LA with some amazingly talented individuals. What came from it is something that we’ll always cherish, and we can’t wait to share with the rest of you in 2015! From there it was off to SXSW, where we gorged on Tex-Mex and new bands – a winning combination if ever there was one. After a week of vodka tonics and every meal in burrito form it was off to the UK. We’ll skip the British food, but wow, talk about a crowd. We played some of the most fun shows we played all year over there, including one festival date opening for Charli XCX, which seems pretty weird and amazing in hindsight. We also shared a stage with the Hold Steady for a few dates and they delivered a truly inspiring set every night. This fall saw the release of our debut EP, On Your Side, and our first proper US tour opening for the most excellent Colony House and Knox Hamilton. Everyone was super-cool and really nice, and we got to stay at some pretty rad places. Lessons learned on the road: bring a big stuffed animal in lieu of a pillow, rest stop pushups help maintain rock hard bods, and Nyquil is an elixir of the gods. 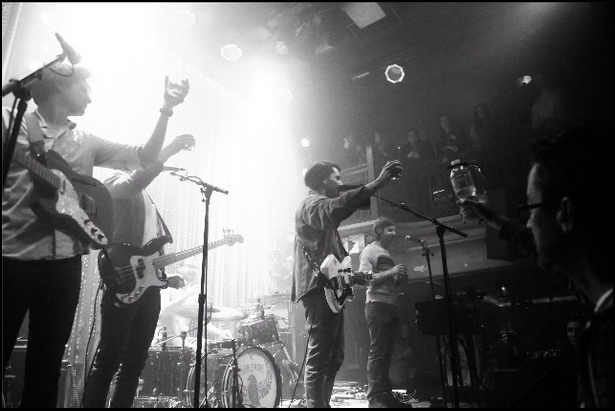 Finally, we capped off the year with a local show at Johnny Brenda’s with our friends in Louds and Dream Safari. Thank you all for making that such a special night. We’ll do it again real soon. This past year will be tough to top, no doubt. But fortunately, we’ve got a good head start on 2015. You can expect a few exciting announcements in the coming weeks, but until then, we’ll gladly raise a glass to 2014 and to all of you. Our EP is officially out today! EP + Tour + XPN Session! We wanted to check in to let you know that Cheerleader is wrapping up a wild summer: a UK tour, a music video for perfect vision, beach visits to the Atlantic, and of course, Paul’s full recovery after an unfortunate bite from a wild German Shepard. We were happy to be a part of Milkboy Philly’s 3rd year Anniversary Festival opening up for Kris Roe of The Atari’s. It was our second time playing the venue and one of our biggest local shows to date. Oh, and a big thanks to Taylor Kurst for making sure the guys in the band stayed hydrated during the set! A couple of weeks ago, WXPN and John Vettese invited us to record a few songs for The Key session. The session will air Tuesday, September 2nd, at 9 p.m. EST on WXPN. People in Philadelphia and the surrounding region can listen at 88.5 FM; people anywhere else in the world can tune in at wx.pn/listen. Then on Wednesday morning, September 3rd, the session will go up for streaming and download on The Key, along with a photo gallery from the recording session. As some of you have no doubt heard by now, we will be releasing our first official EP on October 7, which will contain 4 songs. We actually posted the first track yesterday, which is called “On Your Side.” It’s one of the songs that Joe and Chris wrote back in Connecticut and we then recorded together as a band out in LA. It’s one of my favorites and a ton of fun for me personally to play on keyboard. It reminds me a bit of The Rentals and has a super-positive vibe that I dig. 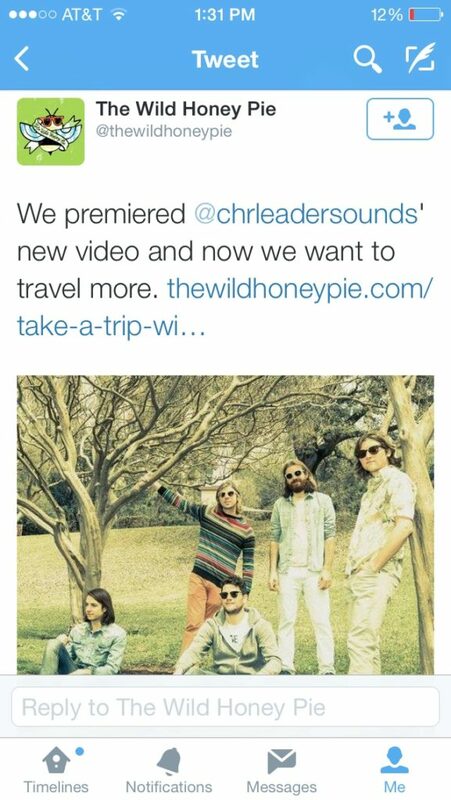 Also, be on the lookout for a music video…or two. As for our transition into fall, we will be playing shows at the CMJ Festival as well as joining Knox Hamilton and Colony House for a tour this October! 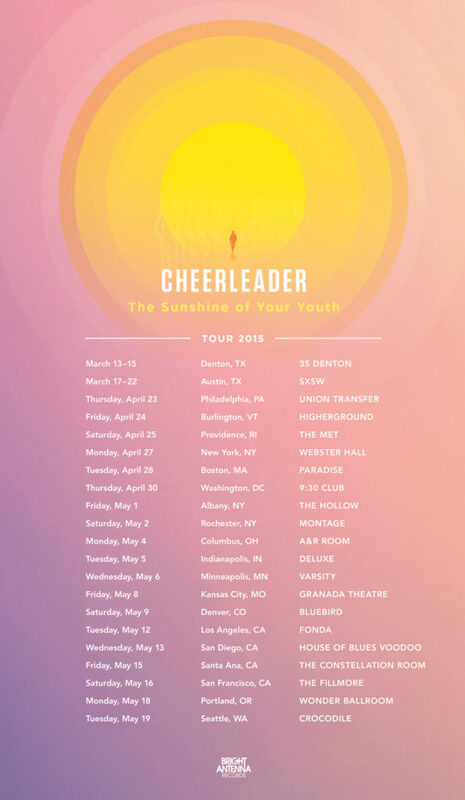 I know all of the guys in the band are excited for our first proper Cheerleader tour. Keep checking back on the page for all of the dates – we hope to see you out there! It’s called “On Your Side”. If you flow the link you can hear the song. We really hope you enjoy it!